Making a business case for an ERP System to manage your supply chain or an HR Software to manage your employees is clear-cut: Save time and costs, manage cash better, reduce risk and Walaah! Even investing an extra 10% on any of these systems helps increase your savings by a minimum of 25% as suggested by David Taber from CIO. What does this help you with? A hard to debate case analysis for Return on Investment. Sales and marketing are the largest expense in most firms and this is the most unreliable part in most organisations. A minute increase in the performance of the sales and marketing business processes, can make a big difference in your company's bottom line. Profitability increase of up to 10% can be achieved by improving the success rate of the sales team by five percent. 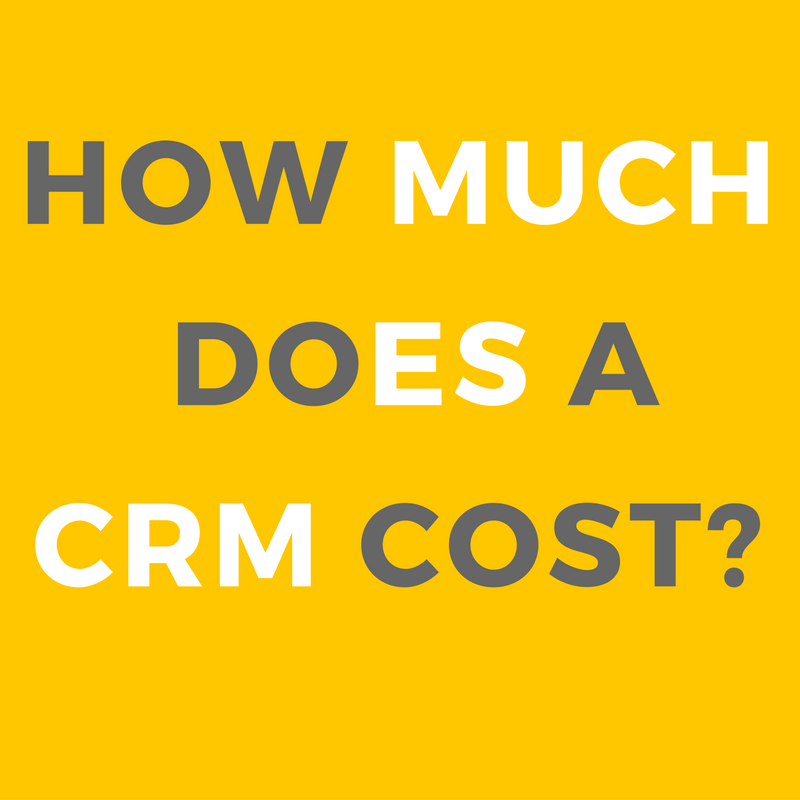 To analyze how much you need to spend on a CRM system, First of all you need to understand how a CRM can help your business. A CRM can most importantly assist you manage your customers, your sales and service but what you should not forget is the part it can play in automation of your marketing processes. This makes a huge impact in your lead to sale conversion process. The initial setup cost for a CRM System can vary from what you call a “Free open source CRM system" to systems that run $5000 per user per year, if not or more—can mostly be determined up front. What you need to keep in mind is the extensions that are required, integration and ongoing management. Let us be honest, the cost for your system is hard to quantify without extensive analysis of your business and its processes. What you should never get excited by is the attractive figures that some CRM vendors offer to get you tied to them will be more than happy to provide you with wonderful numbers about efficiency and performance gains. Why because they might not apply to you. Since your business processes, competition, sales strategies and personnel are different from whatever is on offer, never go by the cost of someone else’s system. The cost for your CRM depends upon your system's design target i.e. what you tend to achieve out of the system and how it will improve your business process and in turn better sales.